The sound of waves caressing the shore and the stillness of the vast expanse of silken golden sand greet visitors who venture to Bournemouth to escape, unwind, breathe. It is a luxury that many city slickers take for granted – fresh air and peacefulness. 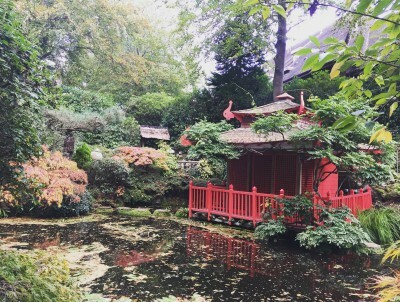 Fortunately, only a mere two hour train ride from London’s Waterloo Station, Bournemouth feels a world apart from the frantic pace of the city and is the perfect place to kick back and chill as the gentle waves of relaxation disentangle any tension. To help you get the best out of your visit to this English paradise, check out our LuxuryGlobe Guide to the Best of Luxury Bournemouth. 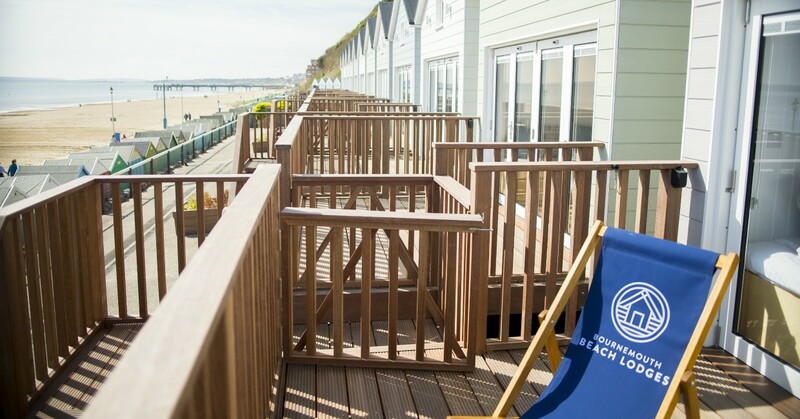 If boutique, secluded lodges positioned practically on the beach are your idea of perfect accommodation, then the newly built Bournemouth Beach Lodges are hard to beat. 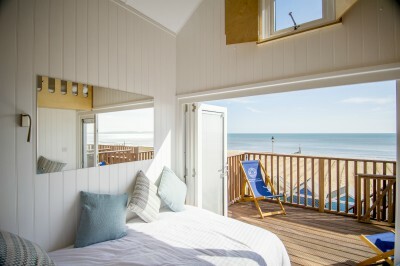 The 15 colourful, compact and fully-equipped huts line the coast next to Boscombe Pier and are a perfect base from which to explore the nearby seafront shops, as well as the entire South West Coast of England. Sleeping five people comfortably, the pet-friendly two-story interiors have all the necessary amenities packed into a cosy design. Bi-fold glass doors open up to a private wooden deck, providing the perfect perch to laze back on the loungers supplied and enjoy the uninterrupted views of the glistening English Channel. The staff are friendly and helpful, gladly accommodating any requests and happy to advise about local haunts. 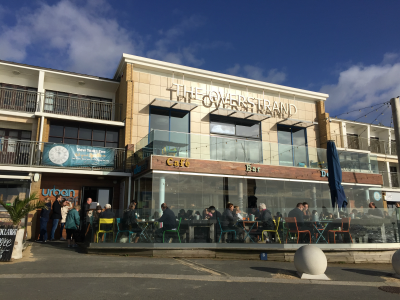 The Urban Reef Café, a stone’s throw away from Bournemouth Beach Lodges, is a local beachfront institution serving locals, visitors, and the occasional famished surfer. Perpetually busy, the atmosphere is relaxed and mellow, with colourful wooden décor and casual seating. The Urban Reef Café is what Sunday mornings are all about, with large glass windows through which customers with cups of steaming hot coffee can watch whitecaps roll in while chilling to the sound of Jack Johnson. Friendly, attentive staff greeted us as we shuffled into one of the upstairs booths and hungrily studied the basic yet hearty menu. Their version of a full English breakfast – the ‘Surf’s Up’ – is well worth making the journey all the way up from London for, and the veggie version was just as delicious. The café is just as busy in the lunch and dinner hours, and rightly so: it really is a little slice of heaven. On the top floor of Bournemouth’s Hilton Hotel you will find the Level8ight Sky Bar. It’s a hidden oasis above the town which provides unparalleled birds-eye views of the dramatic coastline. Acclaimed as the highest bar in the South West, it is an opulent, vast, and classy space with lashings of gold and dark velvet. Ornate rugs, brass trimmings and cushy deep-seated chairs adorn the room while attentive waiters greet and seat guests. I visited on a bright, sunny Sunday afternoon when High Tea is served on tables skirting the expansive glass windows. While watching the clouds roll over Bournemouth, efficient staff served us pots of steaming tea, tiny sandwiches, and delectable cakes – scones with lashings of jam and clotted cream, moist carrot cake, Victoria sponge, and berry cheesecake were all eagerly devoured. Indeed, the area has an endless amount of fantastic dining options. A little further out in Poole, Rick Stein’s Sandbank’s restaurant also comes highly recommended. Serving good-quality fresh seafood with a sweeping view of the Dorset coastline, the countless positive reviews are defiantly warranted. Back in the centre of Bournemouth, visitors are spoiled for choice with a plethora of dining options catering to all tastes. The bars are busy, too, and there is a bustling nightlife centred within walking distance of the main avenue. Live music emanates from rustic pubs and within dimly lit cocktail bars, breezy jazz music can be heard. Beaches. The endless, sandy, beautiful beaches are Bournemouth’s crowning glory. Gleaming azure waters as far as the eye can see, the soothing sound of waves crashing on the shore, and the rejuvenating scent of fresh sea air combine to produce a calming sanctuary, an oasis from the craziness of modern life. If you get itchy feet, there are a number of water sports you can engage in – zip lining across the sand, surfing lessons, stand-up paddle boarding, or even sailing are all on offer to thrill seekers. To cap off a restful weekend, head to the Eforea Spa at the Hilton Hotel for a luxurious treatment. The swimming pool, spa and sauna are all blissfully relaxing and maintained to an exceptionally high standard. The staff are friendly and accommodating, creating a calming atmosphere where one can leisurely unwind. Despite the area being a tad on the small side, of which I could imagine would be cramped when busy, the facilities are a dream to use and a fantastic way to while away a few hours. Contributor Maria Fedele is an adventurous traveller and freelance writer from South Australia who has lived in Paris and currently calls London home. LUXURYUK.COM is part of the LuxuryGlobe group of websites which focus on pure enjoyment and exquisite pleasure from around the globe. As we roll out our series of country-related websites users will be able to fast track to the country or city of their choice.